Support Inez Milholland for a presidential citizens medal! on Vimeo. 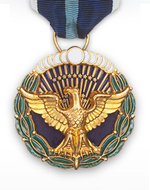 Finally—the Inez Milholland citizens medal is being considered by the White House. Today, the following message was sent to the over 1,000 individuals and organizations who signed the Change.org petition in support of U.S. President Obama awarding Inez Milholland (1886-1916) with a presidential citizens medal before he leaves office. This year-long campaign sponsored by the National Women’s History Project has brought Inez Milholland and women’s history to the attention of millions of Americans. Thank you for your ongoing interest and support. The InezMilhollandCentennial has been an energetic and embracing campaign with over one thousand individuals registering their support for honoring Inez Milholland, our nation’s suffrage martyr. Whether a presidential citizens medal is forthcoming or not, Inez has been honored and will continue be recognized thanks to all of you. We are grateful and feel validated that so many people responded, some quite eloquently. When women march in Washington on January 21, 2017, they are following in the footsteps of forerunner Inez Milholland. Riding a white horse, Inez led the historic, commanding, and impressive 1913 march to demand women’s right to vote. It is timely and appropriate to award Inez Milholland a Presidential Citizens Medal for her sacrifice and commitment to women’s equality. Milholland was nominated for the medal in 2015. Visit the InezMilhollandCentennial.com web site for more information. The 2017 march will be the second historic women’s march in the U.S. Capitol linked to a presidential inauguration. The first was the great woman suffrage demonstration on March 3, 1913, just before the inauguration of President Woodrow Wilson. The leading mounted herald of that spectacular Votes for Women march, which included between 8,000 to 10,000 participants, was Inez Milholland (1886-1916). Her dynamic and youthful Joan of Arc image was featured in newspapers across the nation. Three years later, Milholland died during an intense suffrage campaign at age 30 and became the nation’s suffrage martyr. The year 2016 was the centennial of Milholland’s death. The National Women’s History Project (nwhp.org) sponsored the year-long centennial observance. The release of a new film, “Forward into Light,” by Martha Wheelock of Wild West Women has spread the story of Milholland’s ultimate sacrifice to thousands of individuals, schools, libraries, and community groups across the nation (InezMilholland.org). U.S. Rep. Jackie Speier of California nominated Milholland in November 2015 for the award and over one thousand individuals and organizations have registered their support for the nomination on a petition to the President. Turning Point Suffragist Memorial Association in Lorton, Virginia, has joined with the National Women’s History Project in California and other groups and individuals across the nation in a growing network building toward 2020, the centennial of American women winning the right to vote. Light a candle in honor of Inez Milholland during 2017 —the centennial of New York State women winning the vote in 1917. Visit New York for a wide range of suffrage exhibits, receptions, theatrical productions, music, song and dance celebrating women’s freedom to vote. New York State understands the value of cultural heritage tourism. Support a similar policy where you live. And appreciate how you have played an important part in an ongoing movement of justice and equality. We stand on strong shoulders! A tribute to the 2017 women’s march in Washington, DC & more!